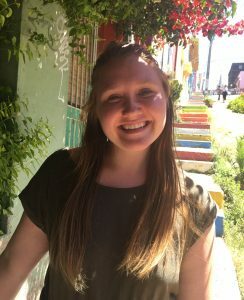 This interview was conducted over email with Hannah Collins, a senior undergraduate student enrolled in the Human Rights Certificate Program, majoring in Political Science with a minor in Economics, by Miranda Gershoni, a first-year undergraduate student working for the Duke Human Rights Center at the Franklin Humanities Institute. Hannah Collins (HC): Coming from Tennessee, I had never been informed about what human rights were. I felt passionate about many problems in my own community, but I did not know how to act on them. An advisor pointed me to the human rights certificate. I took the introduction course and felt that it answered so many questions about the problems I saw growing up. HC: The human rights certificate is what you make it. I got to decide how it applies to my own classes and life. Ultimately, the human rights certificate is an education on worldview, not a memorization of facts and theories. HC: Many of my certificate classes came from my semester abroad on a human rights program during which I spent a month each in Nepal, Jordan, and Chile. During this semester, I got to live in homestays and hear from locals to understand the real lives behind the broad conflicts I studied. This semester gave me a new understanding of human rights, and I was able to shift my focus to applications of solutions. HC: I believe that I can use the new worldview I have gained through the human rights certificate to inspire change in someone’s life, be it through activism, organizing, or simply educating. I hope to carry this optimism with me through a job within the United States government. HC: When I studied in Chile, I stayed with a Mapuche family for a week. The indigenous group is in danger of losing land to the Chilean government. Their land is beautiful, and their nonviolent techniques of organizing are inspiring. The week of observing their ways of living and practicing activism inspired me to continue exploring ways to make change in my own community.